Smartjac Smart Card - Configure your Smart card! Select the options you need for your smart cards; chip, contactless options, applications on the card, etc. and we will help you pick a suitable smart card from our extensive options of cards. 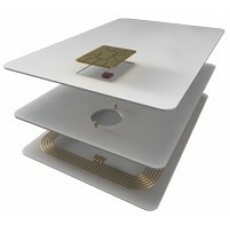 * Dual Interface: allows the smart card to be used in both contact and contactless transactions. Check the required contactless technology. You may also combine 2 or more technologies, but all mixes are not possible. Select the options you need for your smart cards; chip, contactless options, applications on the card, etc. What is a smart card ?